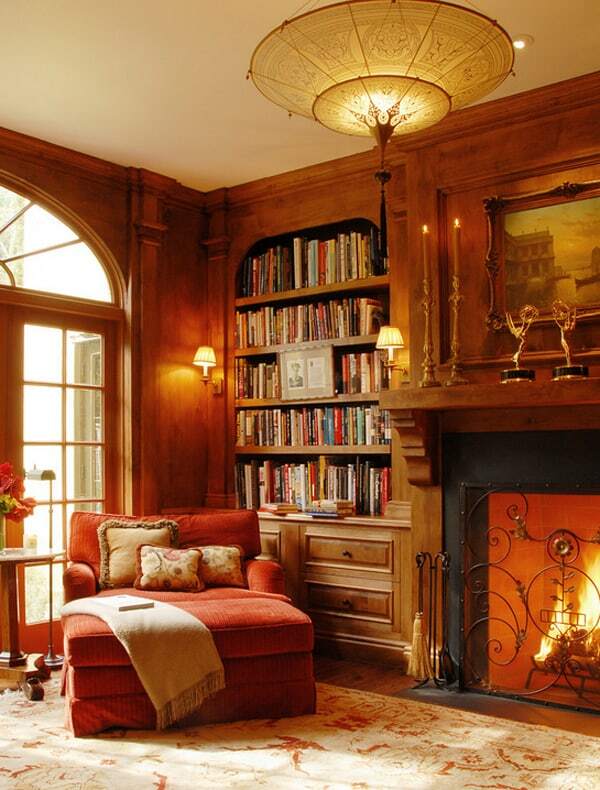 Most people enjoy reading, so why not consider having some cozy living space in your home for your book collection to unwind and decompress, allowing yourself to disappear into another world with the characters of the book. 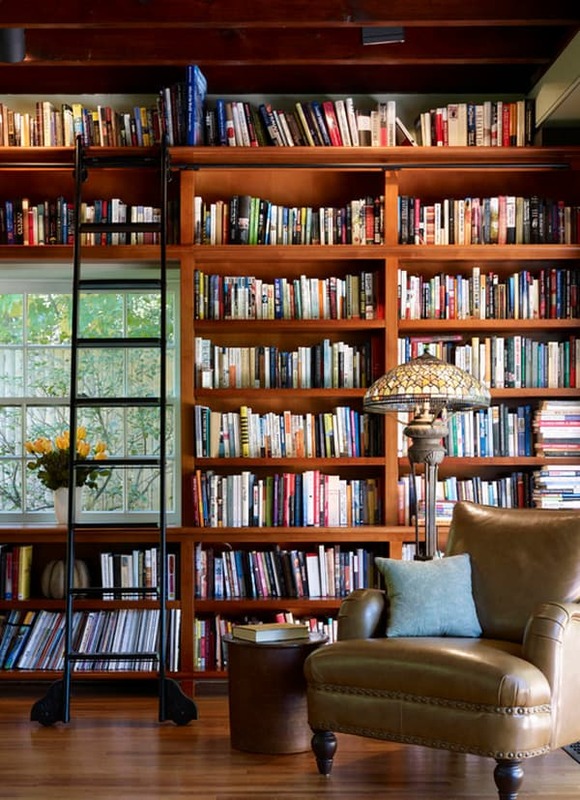 For most of us it would be wonderful to be able to do that, however before you get to enjoy your reading, you may need to take care of a few functional elements in your home. 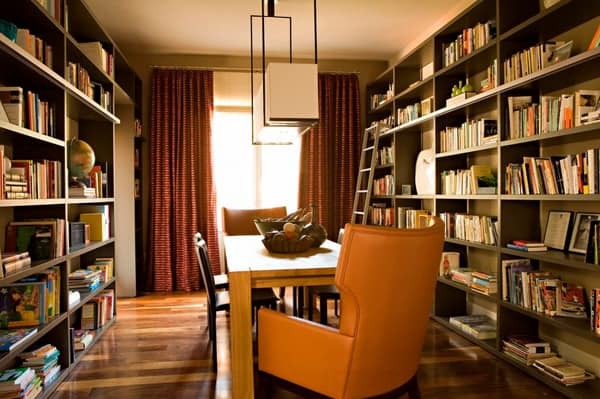 For example, you may need to incorporate proper storage space for your books somewhere in your living environment. 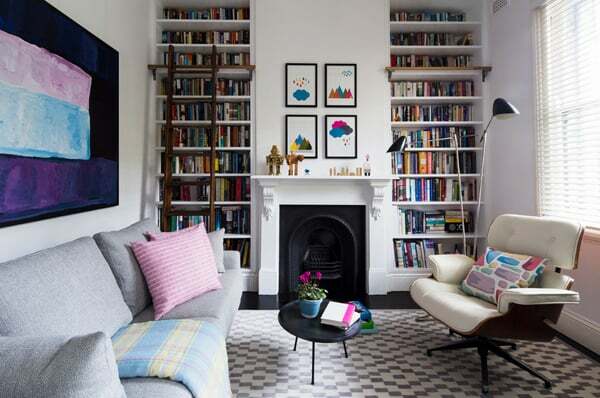 We have prepared some wonderful tips and some amazing inspirational photos to make your bookshelves as stylish as they are useful, we hope you will be left feeling inspired! 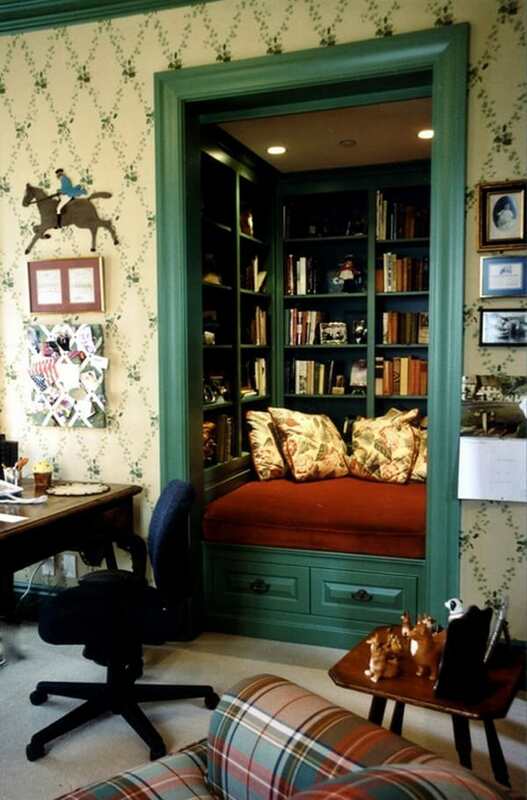 If you are still looking for more, in the past we have presented to you some other inspiring articles related to books, including 65 Wonderfully cozy reading nooks for book lovers and 50 Jaw-dropping home library design ideas. 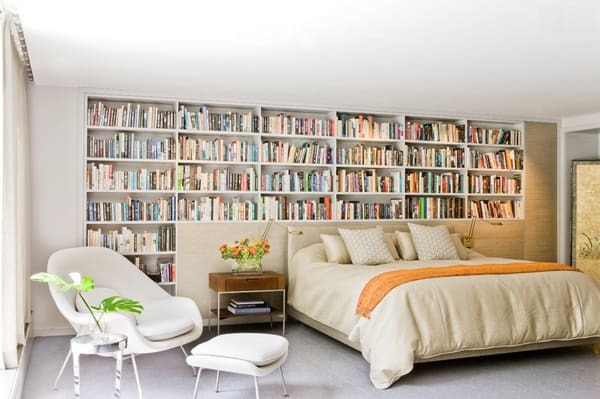 Showcase books in a pattern – Consider organizing your books into clusters; with some displayed on the horizontal, while others are featured vertically. 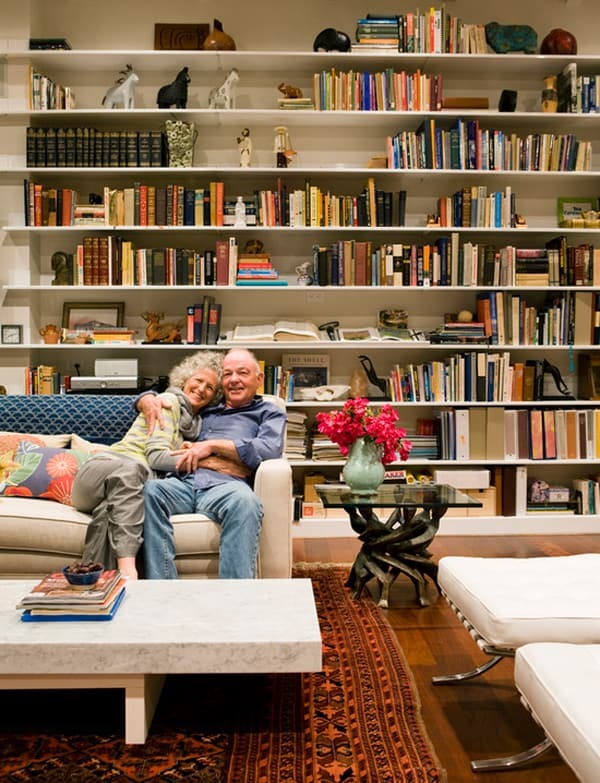 You can also switch this idea up a little by having a whole shelf that is vertically arranged. The shelf below this could be all horizontally arranged. 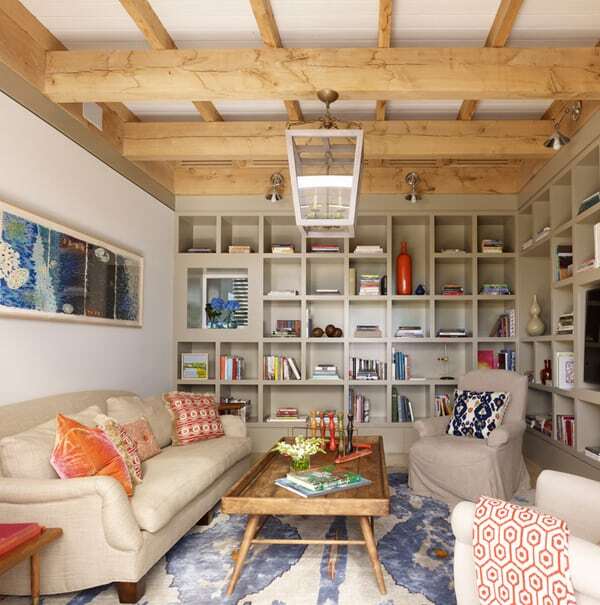 Or, if you have cubby-type bookshelves, you can alternate with horizontal and vertical (see the next image to see what we are talking about). 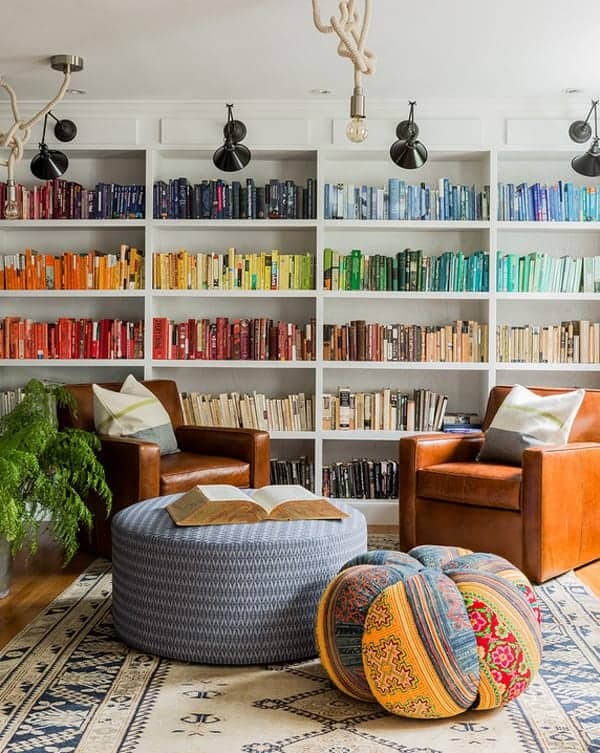 Arrange books by hue – This can make your space look fun and stylish, and unless you have an endless collection of books, should not make it too difficult to find that book title you are after. 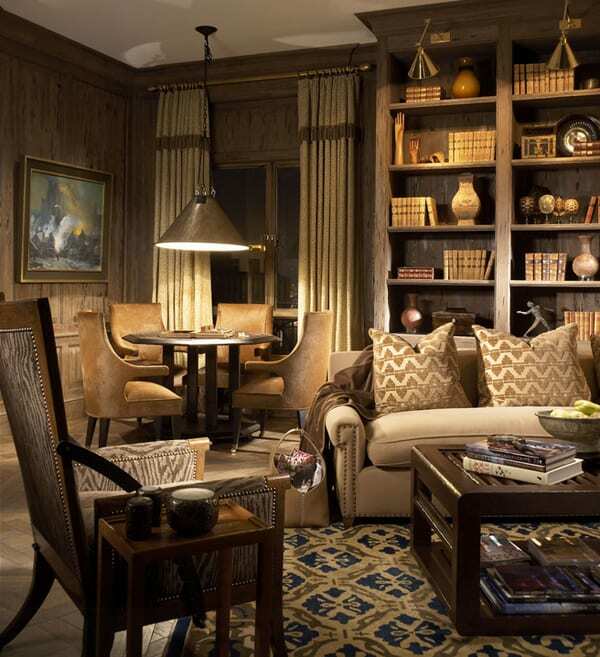 Use decorative items – The line of thinking here should be sculptural. 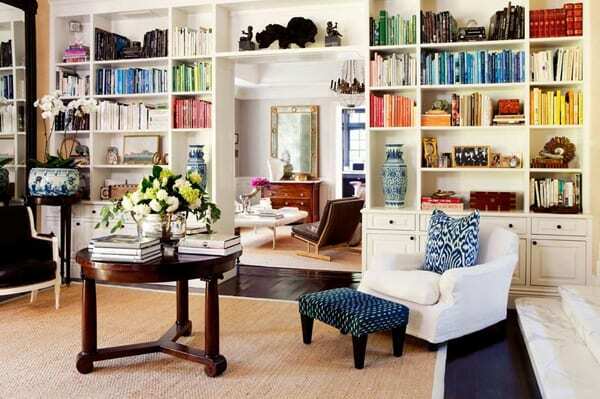 Dress up your shelves with a pretty plate or bowl, or even a grouping of boxes – then mix it up with a stack of books. 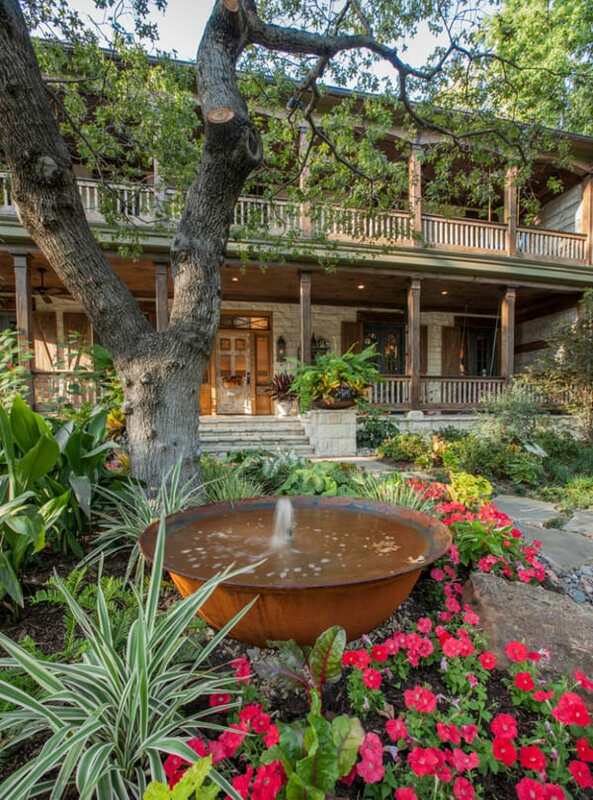 Include something natural – Infuse organic materials into the mix. An idea would be taking a beautiful bowl and filling it with beach rocks and placing it on your shelves (store bought or collected straight from the source). You could also include a piece of coral, a sea fan, a beautiful seashell or conch shell or maybe even an air plant. 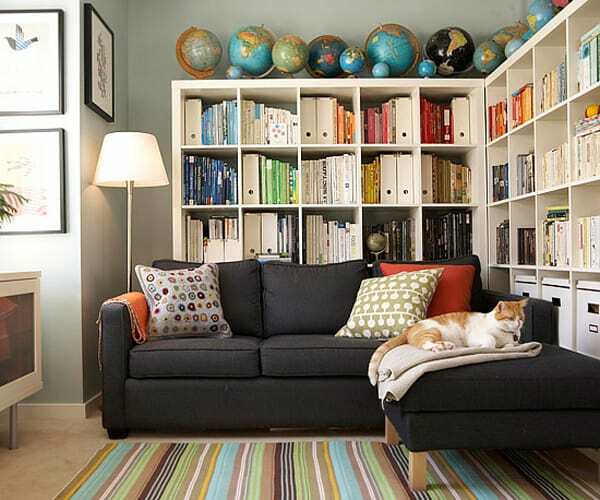 Add colorful artwork – Consider the addition of artwork onto your shelf scheme. 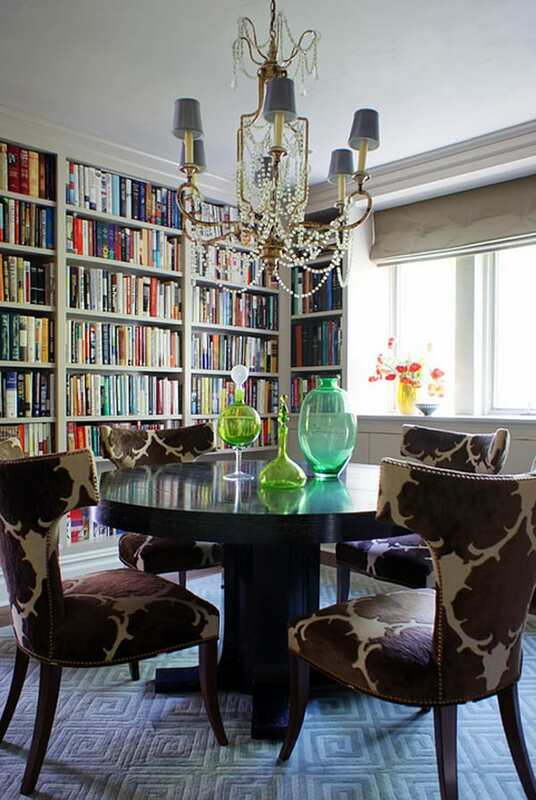 Try placing smaller pieces on the shelves, you could hang larger selections on the shelves if you are looking for more of an English library appeal. 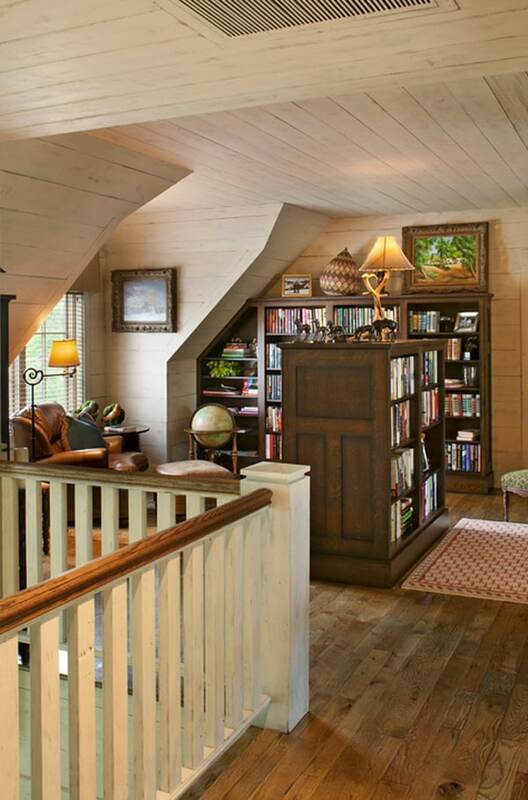 Above: A living room in a 19th century carriage house features a library wall, creating a cozy little nook for reading. 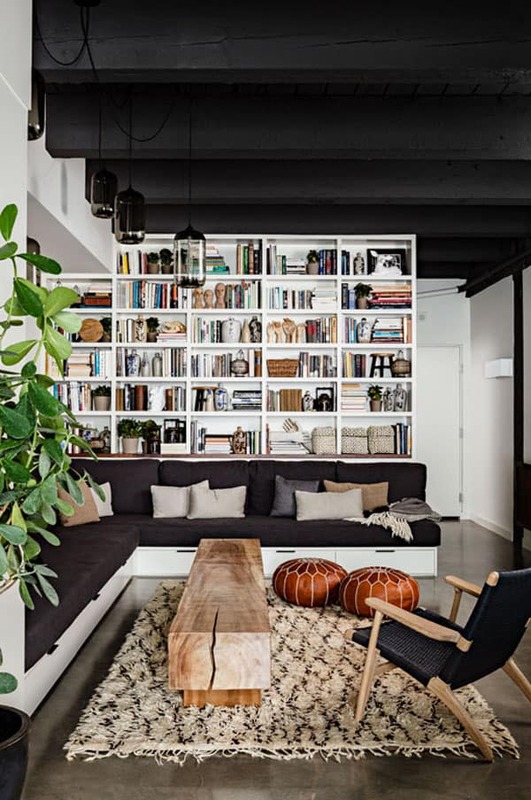 Above: This cozy living area features the perfect vertical storage solution to help keep the homeowners feeling organized. 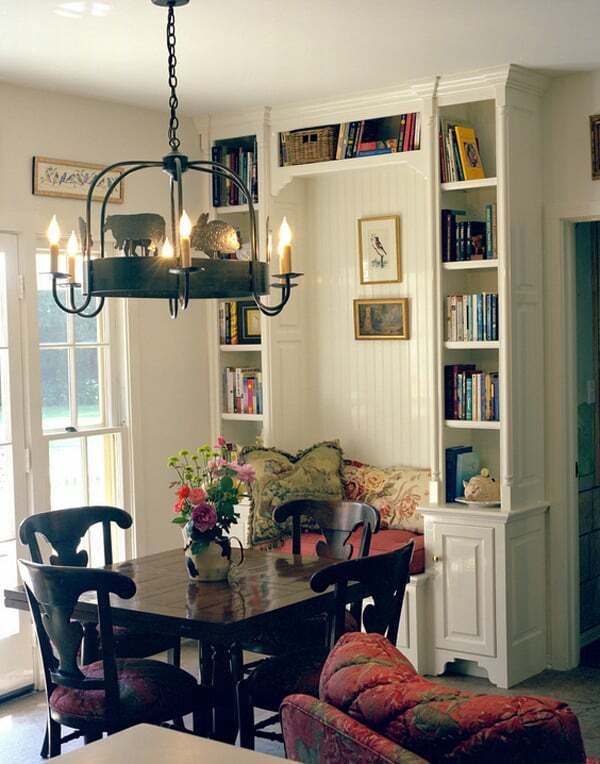 Groupings of books on the shelving units are used as a decorative element. Storage boxes are a great way to tuck important documents out of sight. 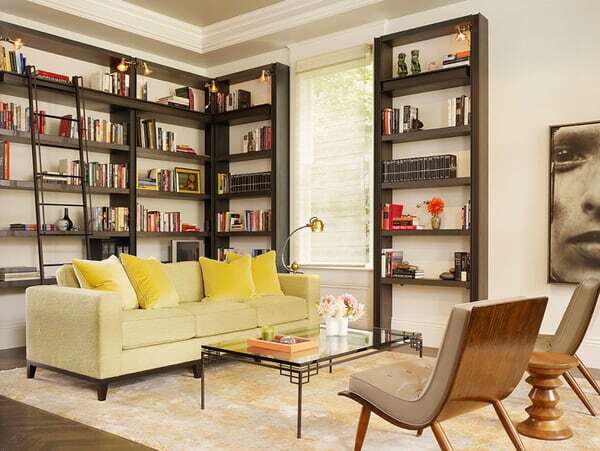 A sectional sofa provides a comfortable area for reading or even kicking back and working on a laptop. 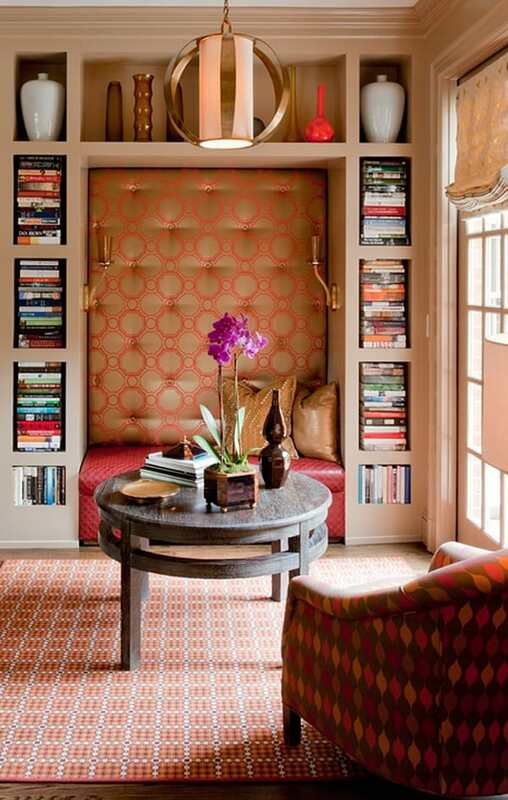 The top of the bookcase highlights the homeowner’s love of globes. 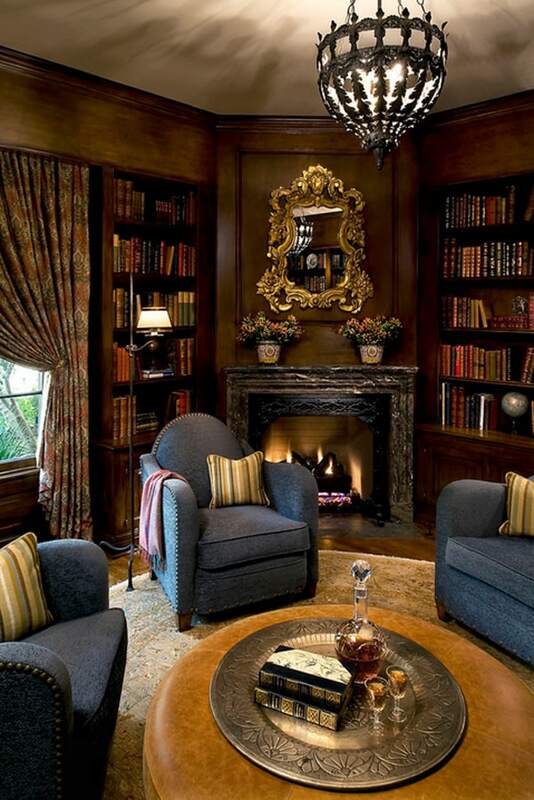 Above: This Tuscan estate in Southern California features a home library with a roaring fireplace and beautiful French doors. 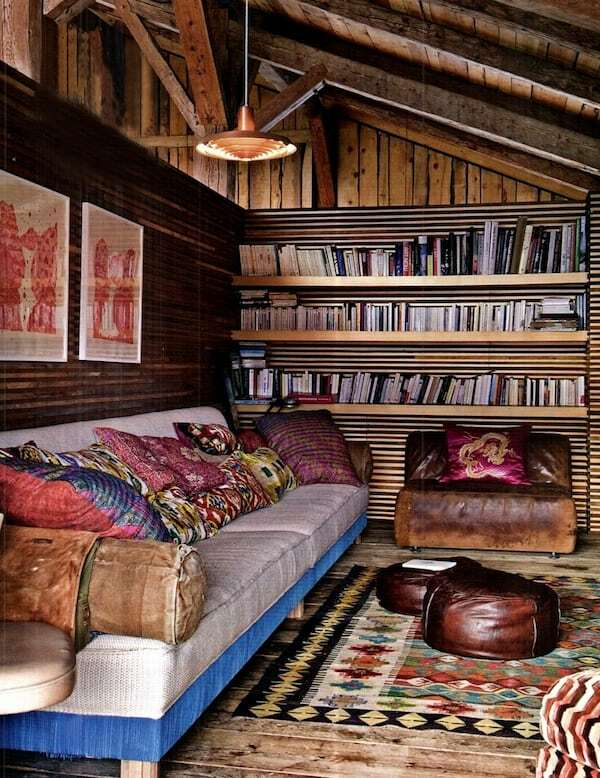 A built-in bookshelf and surrounding walls are clad with reclaimed wood paneling. 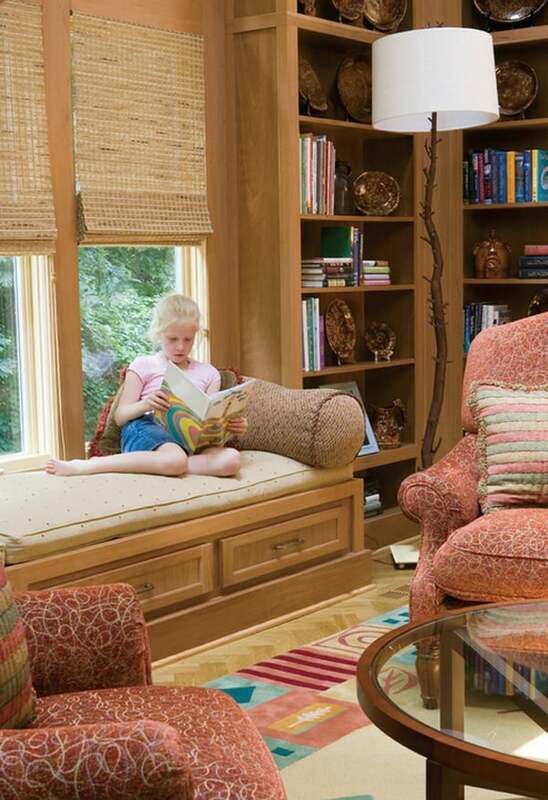 A comfortable oversized chair is soft to the touch, providing a comfortable spot to enjoy the collection of books. Grounding the space is an antique Persian rug. 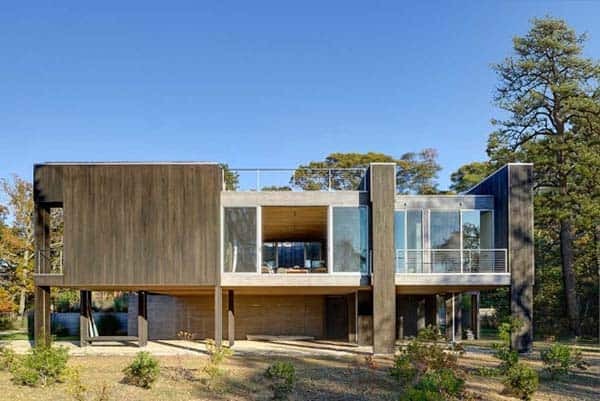 Above: Get creative with under-utilized space. 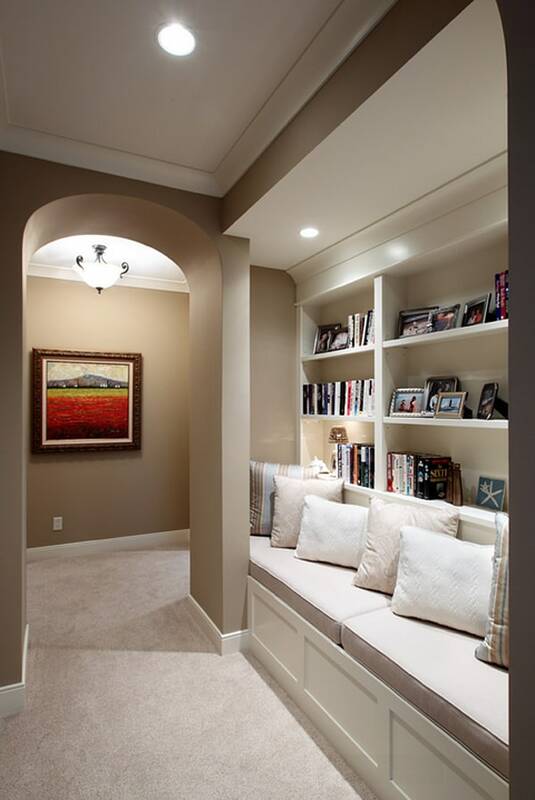 Find a space in your home that is not being utilized and build a small reading nook, add some cushions and enjoy your book collection. The top of the built-in seating can open for additional storage, or pull-out drawers can be added; just be sure their is adequate clearance. 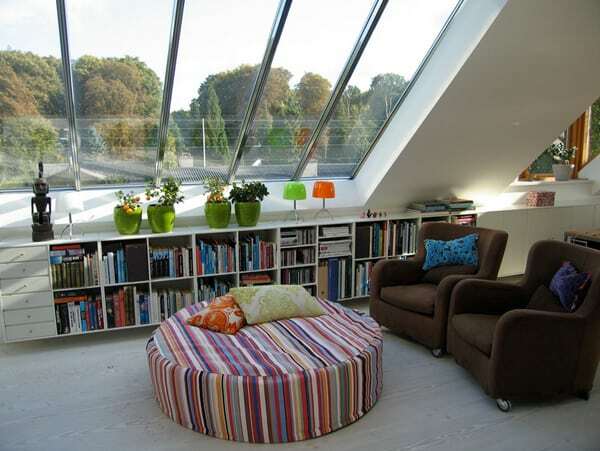 Above: If space happens to be an issue in your home, finding that perfect spot for storing your books may become a difficult task. 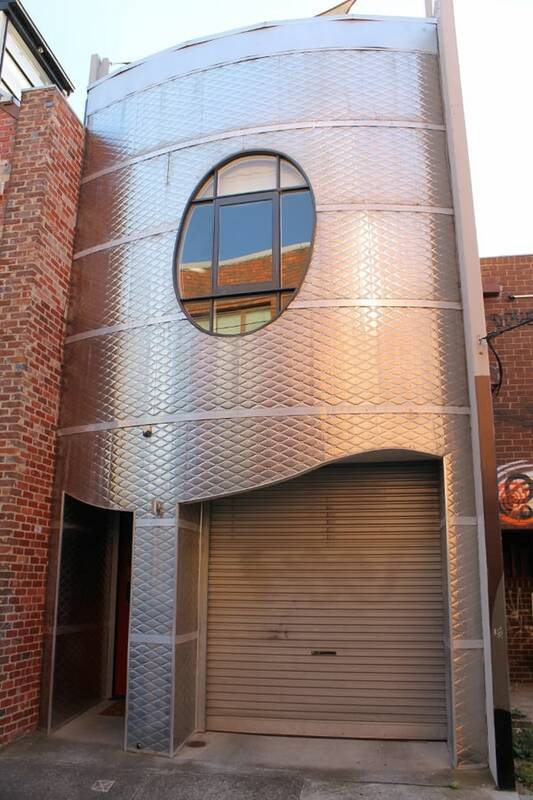 We have the perfect solution for you. 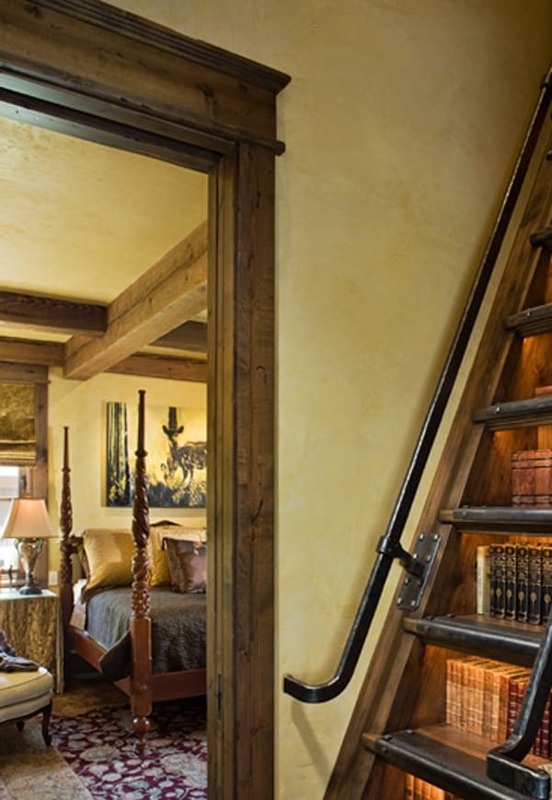 You could use your staircase for a book storage area. 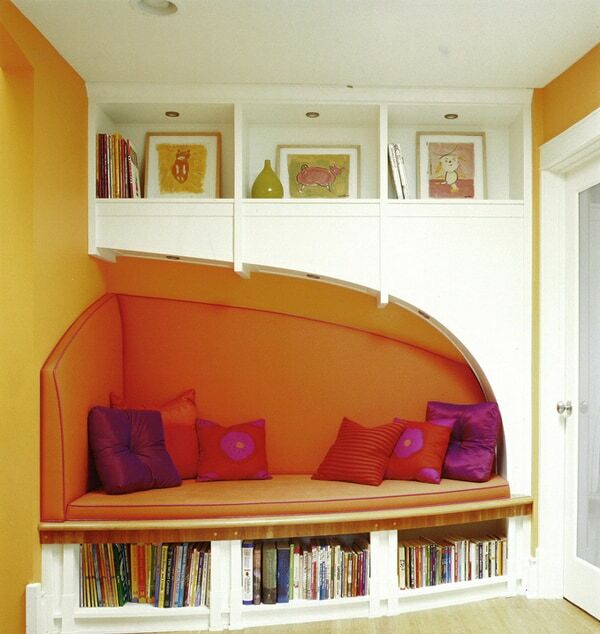 Use the space under each step as a storage compartment for books. 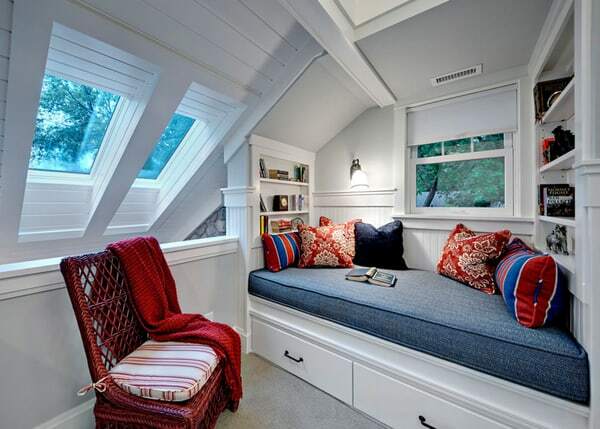 Above: Those who enjoy reading like to create their own cozy space to relax and unwind, whether it’s a reading corner or simply a space with a comfortable seat. 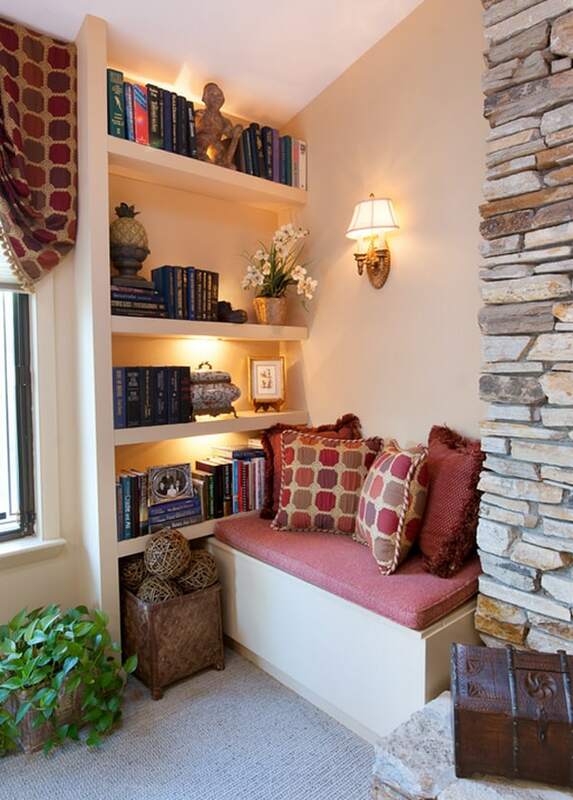 You can also have built-in bookcase shelves on either side of a comfortable seating arrangement with some pillows for added comfort, such as the photo above. 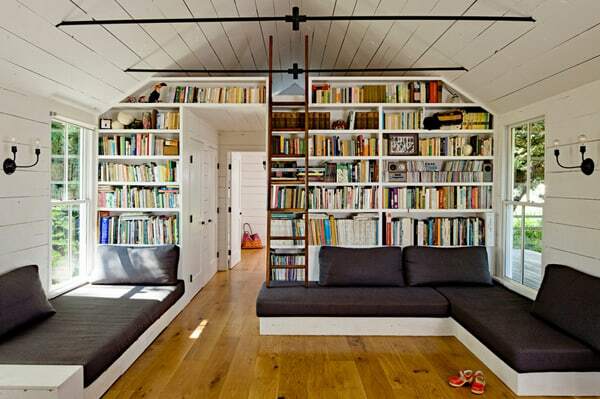 Above: In a small home, built-in bookshelves provides the opportunity to have a clean living environment. Tucking items neatly into place shows organization. 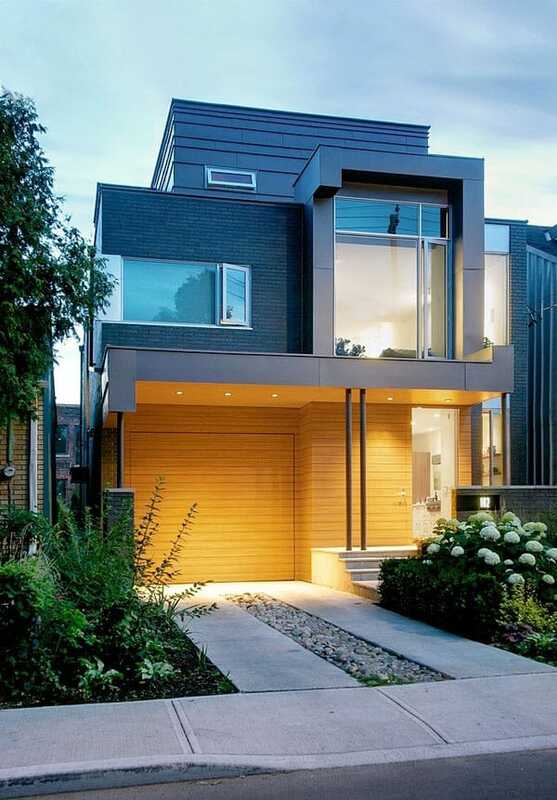 This storage solution also helps keep windows free and clear, illuminating the space with natural light. 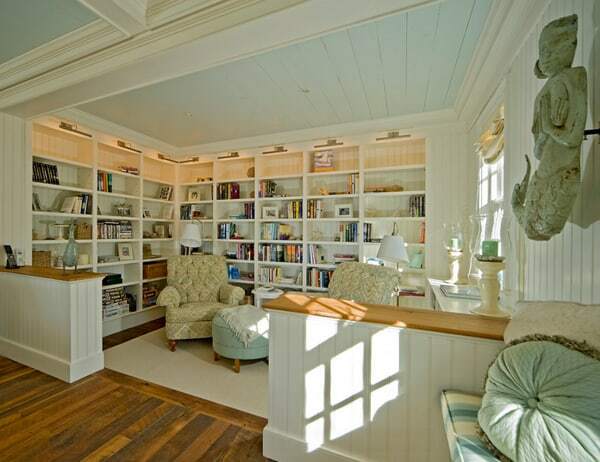 In the evening, the bookshelves are highlighted by ceiling integrated Monopoint Fixtures. 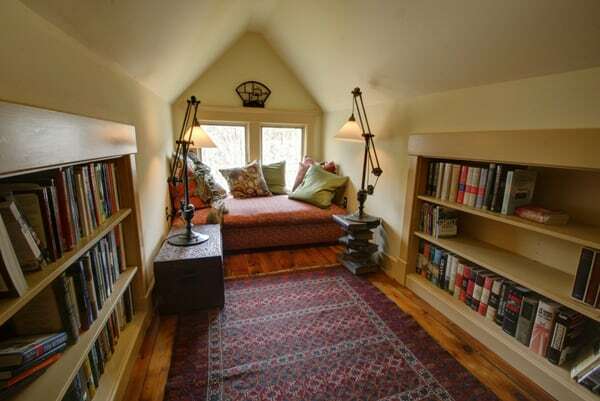 Above: For someone who enjoys reading, you probably will not have just one designated spot for this activity. 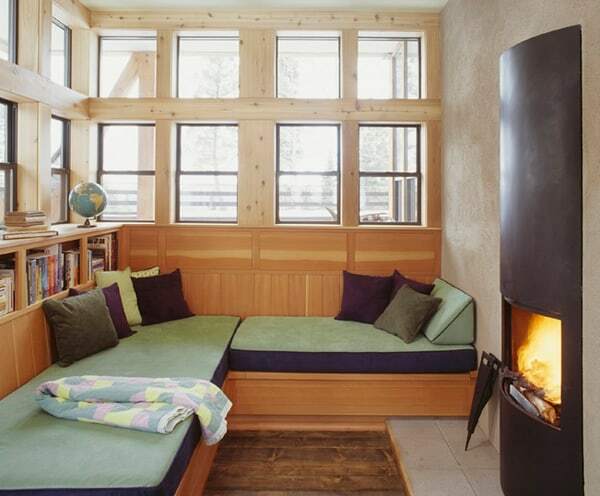 Most likely you will find yourself reading in the kitchen. 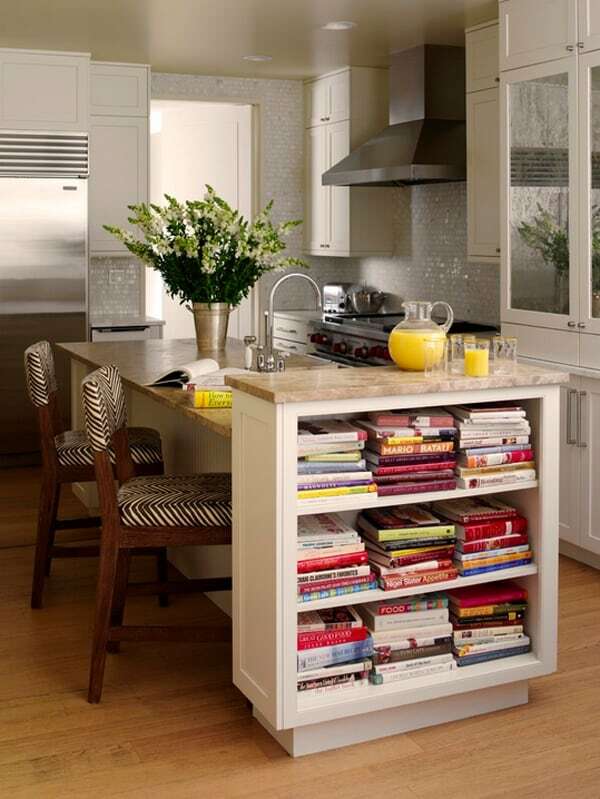 So why not design a designated storage area for your books within the kitchen island. 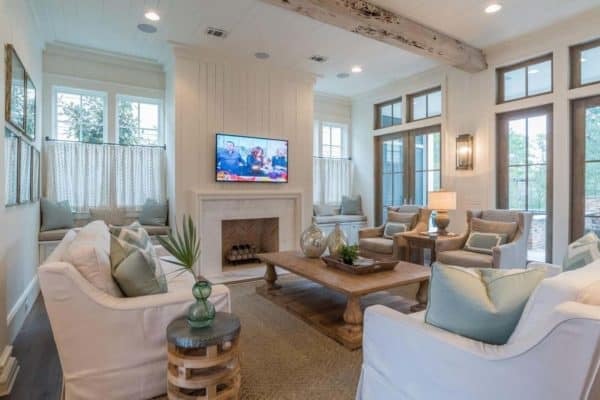 It could be incorporated into the side of the island or on a few shelves above the cabinetry, which can also help to add a decorative element to the space.